Welcome to the Bible Reading Plan for James Chapter Four for young children! I pray that you are enjoying this study, and that God has been speaking to you through His Word! Remember, if you want a deeper study, check out either the Homeschool Study or the Group Study. 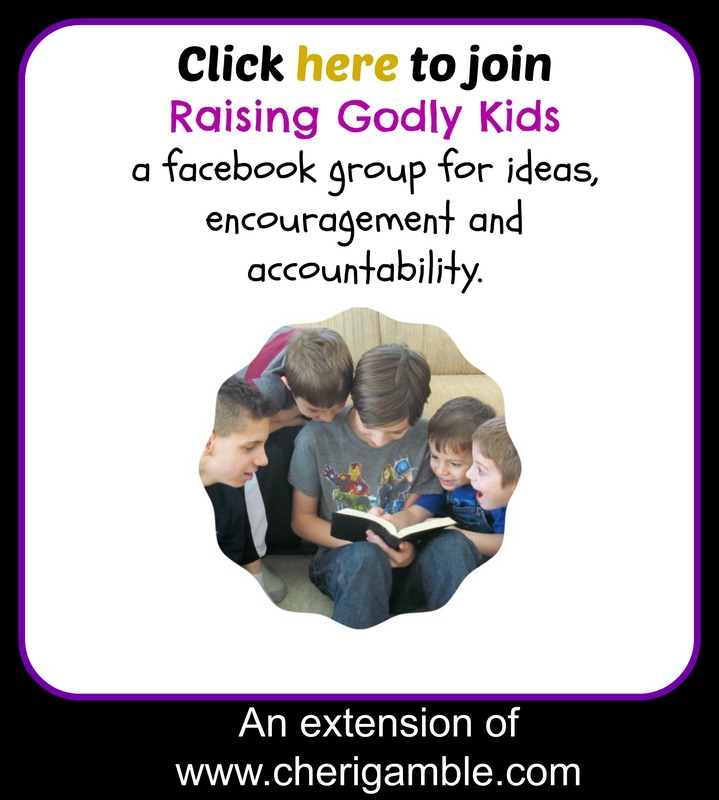 I have been using the homeschool study this year with my boys and our church has been using the group study with our children’s after school program and our weekly teen Bible studies. Hopefully some of you will find these studies helpful, too! ___ Day One: James 4:1-3. Read these verses out loud to your child. Every time you read the word “you” have your child either sit down or stand up. Do this several times, reading it faster each time. Then say: God wants us to be happy with what we have and not to always want more and more and more. What are some of the things that you are thankful for that you have? Spend time thanking God for what you have today! ___ Day Two: Joshua 7:1-2. This is a passage about a man who wanted what he was not supposed to have. He took something that did not belong to him – even though he was told not to – and everyone around him suffered as a result! Do you ever want something you are not supposed to have? What should you do when that happens? Help your child draw pictures of the things he has that he is thankful for. Remind him of the ways that God has blessed him and that he should be happy with what he has and not want more and more. ___ Day Three: Acts 8:9-24. (If this passage is too long to read to your child, read the first verse and then tell him the story of what happened next.) Then say: Simon got in trouble because he wanted something that someone else had – and he wanted it for the wrong reason! Verse 21 says that his heart was not right before God. Is your heart right before God? Draw a picture of a heart or cut a heart out of red construction paper. Have your child draw pictures in the heart of how he can make sure his heart is right before God. ___ Day Four: Matthew 6:19-21. How do you store up treasures in heaven? Make a treasure box with your child today. As you are making it, discuss the treasures that are waiting for us in heaven! Here is a recipe for rice crispy treat treasure boxes! And here is a video to help your kids remember the verse. ___ Day Five: James 4:1-3. Help your child make a thankful book today, thanking God for all that he has given! ___ Day One: James 4:4-6. God loves you and wants to be your BEST FRIEND! He wants you to love Him better than ANYTHING or ANYONE! Here’s a fun song to remind us that Jesus is the best! ___ Day Three: Luke 14:27. Jesus needs to be FIRST in your life! Are you willing to do anything for him? Give your child crackers and cheese spread and help him make a cross to remind him of the sacrifice that Jesus made and that we need to be willing to sacrifice for Jesus, too. Talk to your child about what it means to give up everything to follow Jesus. Pray together, asking God to help you be willing to give up everything to follow Him. Eat the snack together! ___ Day Four: 1 John 2:15-17. Did you hear who the Bible says lives forever? The one who does the will of God! If we are Christians, we will live forever with Jesus in heaven! That is a wonderful thing to celebrate! Have a “I’m happy I’m a Christian” celebration today! Give your child noisemakers (or make your own) blow up balloons and play a game with them, play fun music and dance around rejoicing, and then have a fun snack. Remind your child that you are celebrating the fact that you get to live forever with Jesus and then do just that . . . CELEBRATE! ___ Day One: James 4:7-10. These verses have a lot for us to remember! Right now, we are just going to focus on one part: “Cleanse your hands, you sinner; and purify your hearts, you double-minded.” What does it mean to cleanse your hands? You WASH them! In the same way, we need Jesus to WASH all of our sins away and make us clean inside! Make your own homemade handsoap to remind you of the importance of having Jesus wash your sins away. ___ Day Two: Psalm 30:4-5. Have you ever been really, really sad? These verses tell us that even though we might be sad now, joy will come later! Jesus can help us when we are sad!!! Here’s a fun song about trading our sadness for the joy of the Lord. Can you do the motions? ___ Day Four: 1 Peter 5:8-9. These verses compare the devil to something. What is it? A lion! The devil is like a lion, searching for someone to destroy! Watch a video about lions and then ask your child why he thinks Peter compared the devil to a lion. ___ Day One: James 4:11-12. We need to be careful what we say about others! Do you ever call someone a name or say things mean about anyone? Do you think that is what God wants us to do? How should we treat others? Do this lesson with your child to help him understand the importance of kind words. ___ Day Two: Numbers 12:1-10. Miriam and Aaron were Moses’s brother and sister. They spoke bad about Moses and God punished them. Do you remember how? Miriam ended up with leprosy – that is a skin disease. I don’t think God likes it when we speak bad about someone else. What do you think? Get several dot stickers or cut circles out of a piece of white paper. Have your child think of nice words to say and write one nice word on each dot. Then let him stick the dots all over himself (or all over you). Remind him that he needs to be careful to say nice words about others! ___ Day Three: Matthew 7:1-5. Sometimes we talk about the bad things that others do, but we pay no attention to the bad things that we do. Jesus said that it is as if we were walking around with a big board sticking out of our eye but, instead of trying to take care of that board, we point out a tiny speck in someone else’s eye. Find a board and help your child paint it in a way that will remind him to make sure he has taken care of the bad stuff he does before he starts pointing out the bad stuff other people do. ___ Day Four:1 Corinthians 5:9-13. If we see someone who is a Christian doing something wrong, we need to kindly help them see that they are sinning. However, we cannot expect those who do not know Jesus to act like Christians! We need to love these people, not judge them! Think of someone you know who is not a Christian. Spend time today praying for that person. You might even want to make a card for that person! Find ways that you can share the love of Christ with him! ___ Day Five: James 4:11-12. Make a judge’s gavel to remind you of what the Bible says about judging. Use this gavel to teach someone else what you have learned! ___ Day One: James 4:13-17. Our lives are very short . . . we need to make sure that we spend our lives doing what God wants us to do! The Bible compares our lives to a vapor that is here for awhile and then vanishes. Let’s look at vapors today! Help your child boil water on the stove. When it is boiling, have him look at the steam that rises. Talk about how the steam is there for a short while and then you can’t see it anymore. Tie this into James 4:13-17. ___ Day Two: Ezekiel 33:7-9. We need to tell people about Jesus! Help your child learn that he can share the gospel wherever he is by making this cool booklet from Crafting the Word of God. ___ Day Three: 1 Peter 1:22-25. Once again, we are reading about how short our lives are. It is so important for us to spend our lives doing something that REALLY matters – like telling others about Jesus! Help your child learn the gospel message so he can share it with others by using colored candies (like m&m’s or skittles). Give your child several colored candies. Then look at the colors of the candies and put a different part of the gospel message with each color. Allow him to snack on the candies, but he has to tell you what the color stands for before he can eat it! Have him practice sharing the gospel with you, as well! (Possible colors meanings: black/brown: sin, red: blood of Jesus, green: growing closer to Jesus, yellow: heaven). ___ Day Five: James 4:13-17. Plant flowers in your neighborhood. Every time you look at the flowers, remind yourself of how you need to be sharing the love of Jesus with everyone you know! Finished with James Chapter Four? You have one more chapter to go . . . check out the Bible Reading Plan for James Chapter Five!